#ScooterDeath: In a story about electric scooters disrupting the Portland market, the Willimette Week dissects the permit applications for Lime, Bird and Skip, which revealed some interesting stats. Like the fact that Lime’s average scooter lifespan is 120 days. That’s only four months! So at six trips per day and an average trip of 1.6 miles, that’s about 720 trips and 1152 miles traveled over the life of the scooter before it kicks the bucket. 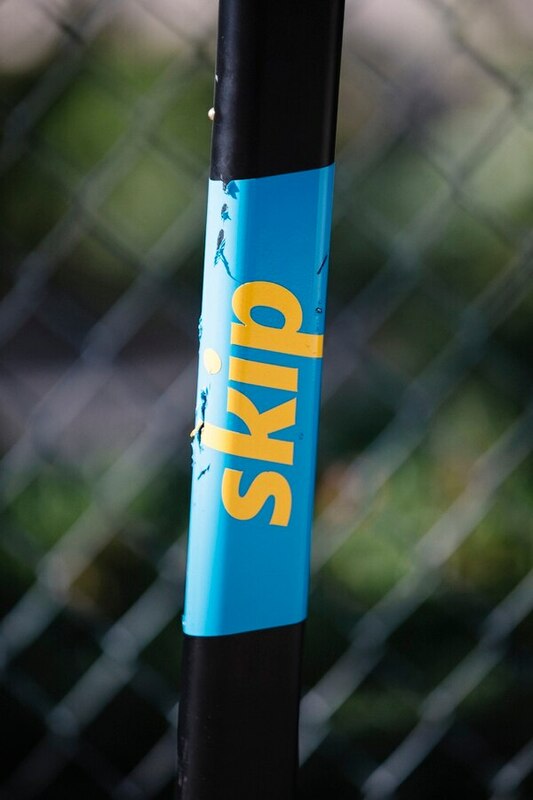 Skip’s permit application claims its competitors are “hypocritical” because they dump scooters in landfills rather than repairing them. The company also talks about paying people who are homeless and giving them a hot meal in exchange for riding low-battery scooters to charging centers. The scooter wars are just getting started – what a ride! The Latest Facebook Declination Study: Facebook Watch may be becoming more and more popular for active users, but this week the Pew Research Center published new research suggesting Americans have become more cautious and critical in their use of Facebook over the past year. Just over half of Facebook users ages 18 and older (54%) say they have adjusted their privacy settings in the past 12 months. 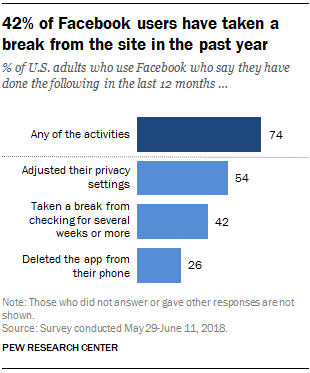 Around 4 in 10 (42%) say they have taken a break from checking the platform for a period of several weeks or more, while around a quarter (26%) say they have deleted the Facebook app from their cellphone. All told, some 74% of Facebook users say they have taken at least one of these three actions in the past year. Read the whole study findings here. Digital Share of Shelf: Search rank is the new shelf space as grocery and CPG retailers expand online and consumers increase their digital shopping habits. Gartner just released their Digital Share of Shelf tool update for 2018, including data from Amazon, Walmart, PeaPod, and Kroger. The visualization depicts the share of organic search results owned by each brand on select e-tailers against category-specific terms. Data includes 139 brands ranked in the Gartner L2 Digital IQ Index: Food US 2018, as well as private label brands from each e-tailer. Pick your favorite CPG product and get nerdy on search! IG Shopping and Superzoom: This week it was reported that Instagram is working on a new standalone app dedicated to shopping. The app, which may be called IG Shopping, will let users browse collections of goods from merchants that they follow and purchase them directly within the app. No word when this app may launch, but we’re on the lookout for it. In more tangible news, this week Instagram launched six new Superzoom effects, including a heart-filled fog with romantic music, super aggressive paparazzi-style camera flashes, fiery flames with metal music, a sad emo filter, and a big red nope-style X. Features are being rolled out slowly to users, so update your app try them out! #FyouCC: A long time ago in a land far far away there was a Prince named Charles whose infamous infidelity with his now-wife Camilla Parker Bowles started the end of his marriage to Princess Diana. But that move also kick-started Princess Di’s fashion evolution, now aptly dubbed Diana’s Revenge Looks on an underground Instagram account. User @ladydirevengelooks share’s Diana’s “sassiest post-divorce looks” complete with captions like “The talk to my lawyer revenge look” and “The Charles whom? revenge look.” It’s absolute 🔥and a must-follow for Princess Di fans.